Dr Jennings graduated from the University of Nottingham in 1995 with a 1st class honours degree in Clinical Immunology. He completed training in Gastroenterology in the Yorkshire Deanery in 2007. This included a 3 year research fellowship in Inflammatory Bowel Disease at the University of Leeds. He was appointed as a Consultant to the Leeds General Infirmary in 2007. 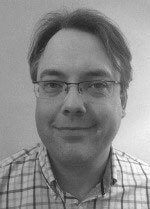 Dr Jennings currently works as the lead clinician for Small Bowel diseases in Leeds. This includes a specialist coeliac clinic, participating in the inflammatory bowel disease tertiary service and providing a regional capsule endoscopy and small bowel enteroscopy service. Dr Jennings completed his PhD at the Leeds Institute of Molecular Medicine 2008, examining the genetic basis of Crohn’s disease and ulcerative colitis. Has published a number of peer reviewed articles on coeliac disease.